Carpe diem badge. Seize the day slogan saying 25mm pin badges. 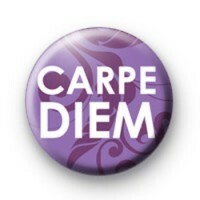 Purple badge with gold white carpe diem text.